"This 27 km hill-walk across County Mayo's Sheeffry Hills takes in 7 summits: Tawnyard, Tievummera, Barrclashcame, Barrclashcame North-West Top, Tievnabinnia, Tievnabinnia East Top and Tawny Rower. 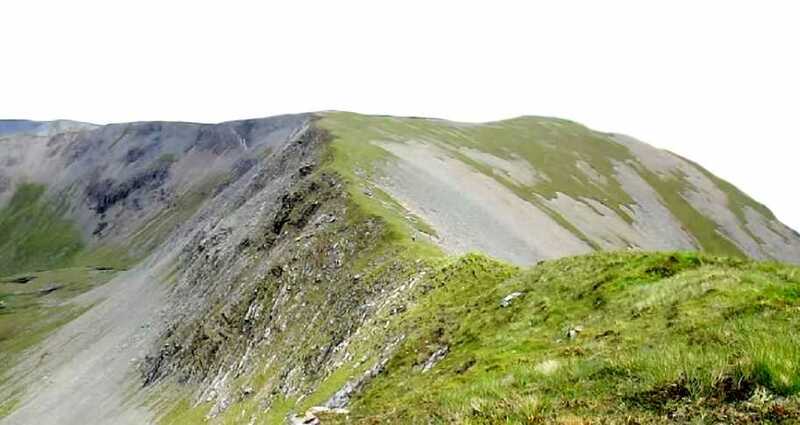 It is one of the finest treks in Ireland, offering benign walking terrain and fabulous 360 degree views of Achill Island, Clew Bay, Croagh Patrick, the Nephin Begs, Devilsmother, the Maamturks, the Twelve Bens, Ben Gorm, Mweelrea and Doo Lough. Although a relatively easy and straightforward walk in good weather, be warned: this route is challenging and dangerous in places in poor visibility." Martin has uploaded the route here at Track 2539 so that means that Sharron and he have put the entire package together for the intending walker.